Rushden Town Council owns and maintains 6 CCTV cameras in the High Street and 4 in Hall Park. 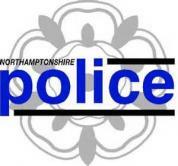 The High Street cameras are recorded and monitored by CrimeSecure, Daventry . The Hall Park cameras are monitored by VLP and recorded on site. HTML5 validated. WCAG compliant. Page generated in 0.1442 seconds.